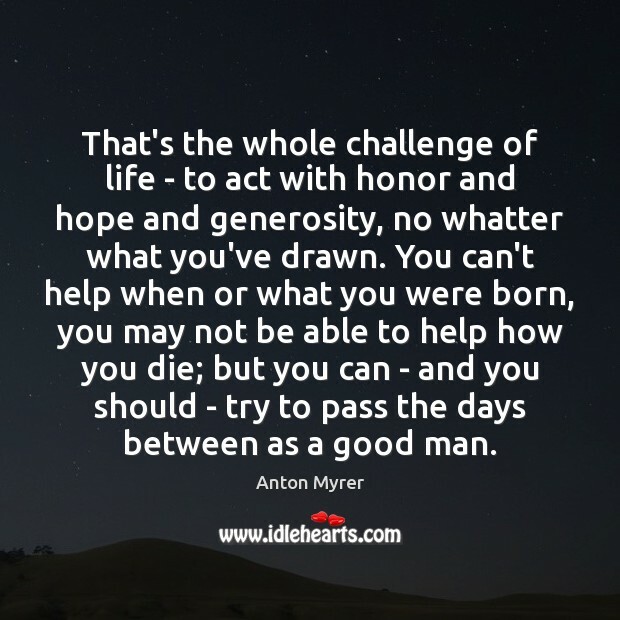 Enjoy the best inspirational, motivational, positive, funny and famous quotes by Anton Myrer. Use words and picture quotations to push forward and inspire you keep going in life! 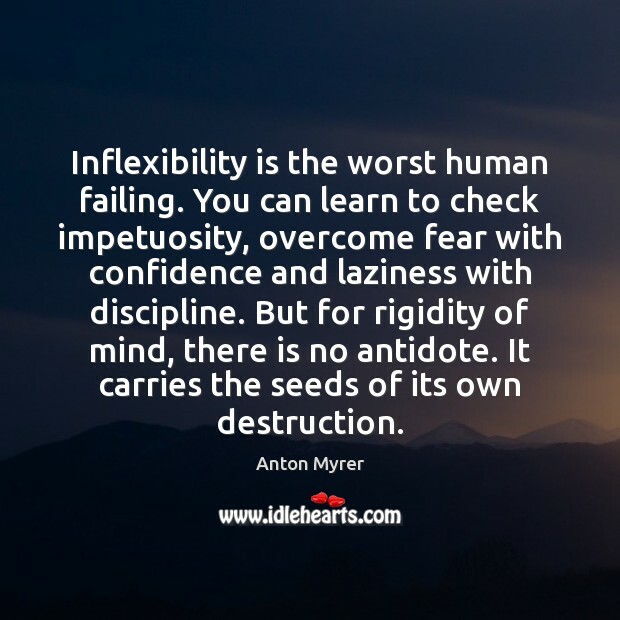 Inflexibility is the worst human failing. You can learn to check impetuosity, overcome fear with confidence and laziness with discipline. But for rigidity of mind, there is no antidote. It carries the seeds of its own destruction. That's the whole challenge of life - to act with honor and hope and generosity, no whatter what you've drawn. You can't help when or what you were born, you may not be able to help how you die; but you can - and you should - try to pass the days between as a good man.